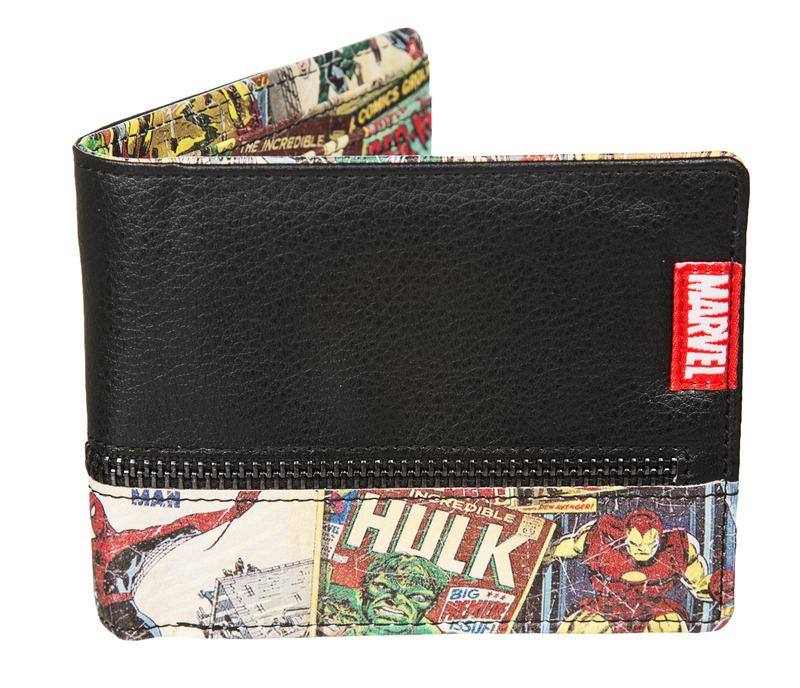 Like many superheroes themselves, this wallet is unassuming on the outside�but inside lies an explosion of energy and force, with Marvel's most POW!-erful superheroes just waiting to be unleashed. We love its retro comic style - and with iconic heroes like Iron-Man, Captain America, Hulk and Spider-Man, if you're a fan of Marvel's retro heyday, we think you will too! - Measures 4.5 x 3.5"